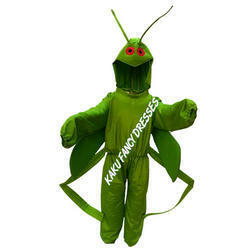 Our product range includes a wide range of kids lady bird costume, kids butterfly white costume, kids seahorse costume, kids honey bee costume, kids grasshopper cartoon costume and kids caterpillar cartoon costume. 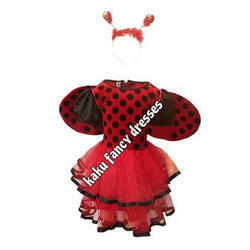 Lady bird costume is easy to wear and lite in weight. It includes Lady bird cutout and hairband and jumpsuite in fabric. It is free in size. Seahorse is a water animal, this costume includes top, pant and it's head gear, It is used by both boys and girls, easy to wear, carry and lite in weight. 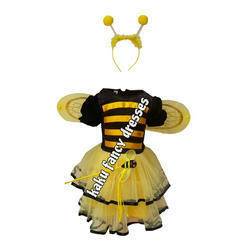 Honey bee Costume is easy to wear and child is able to easily carry its headgear.It includes jumsuit with its attached headgear of Honey bee face.This costume used by both BOY/GIRL. 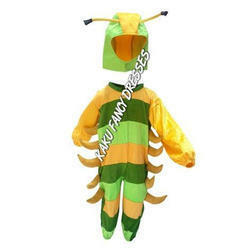 Grasshopper Fancy Dress is a very attractive costume and child can easily wear and lite in weight. Carterpillar costume is easy to wear and child is able to easily carry its headgear.It includes jumsuit with its attached headgear of caterpillar face.This costume used by both boy or girl. Carterpillar costume is easy to wear and child is able to easily carry its headgear.It includes jumsuit with its attached headgear of caterpillar face. This costume used by both boy or girl. Its lite weight and easy to wear. child looks preety is this preety Red butterfly frock. 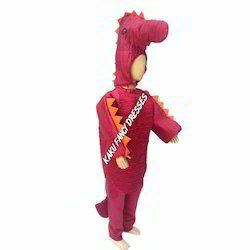 It includes green jumsuit, wings attached with jumsuit and its headgear it is free in size and used by both boy/girl. 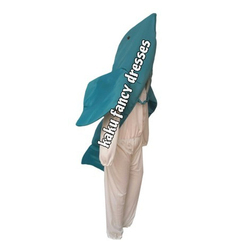 Memo Fish fancy dress is very interesting costume as a water animal. Its easy to wear and carry. It includes cut out of memo fish. It is free in size. It ooks very attractive. 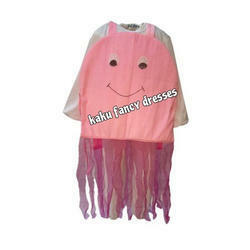 Jelly Fish fancy dress is very interesting costume as a water animal.Its easy to wear and carry. It includes cut out of jelly fish.It is free in size.I looks very attractive. 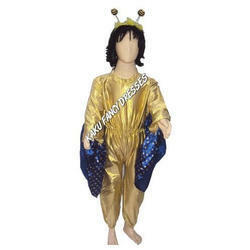 Golden Fish fancy dress is very interesting costume as a water animal.Its easy to wear and carry. It includes cut out of fish in golden colour.It is free in size.It looks very attractive. 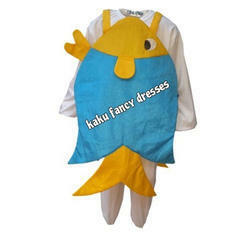 Dori Fish fancy dress is very interesting costume as a water animal.Its easy to wear and carry. It includes cut out of fish in blue and yellow colour.It is free in size.It looks very attractive. 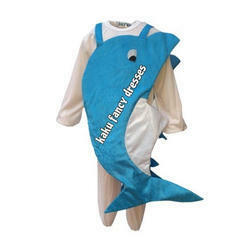 Dolphin fancy dress is very interesting costume as a water animal.Its easy to wear and carry. It includes cut out of dophine.It is free in size.It looks very attractive. 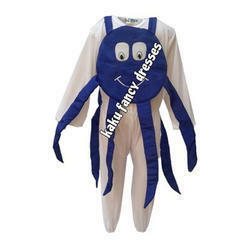 Octopus fancy dress is very interesting costume as a water animal. Its easy to wear and carry. It includes cut out of octopus,It is free in size. Firozi Fish fancy dress is very interesting costume as a water animal. Its easy to wear and carry. It includes cut out of fish in mustered colour. It is free in size. It looks very attractive. Bat costume is easy to wear and child is able to easily carry its headgear. It includes jumpsuit with its attached headgear of Bat face. This costume used for both boy as well as girl. 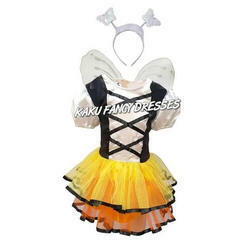 Lady bird costume is easy to wear and lite in weight. 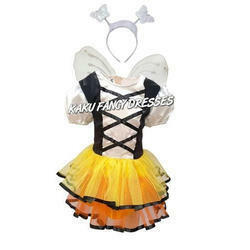 It includes Lady bird cutout and hairband in fabric. 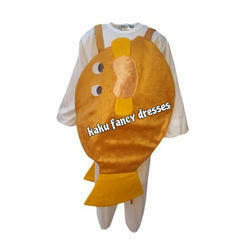 We are offering Puffer Fish Dress to our clients.